The death toll has risen to at least 147 people after the siege of Garissa University College in Kenya. The attack on the institution by masked Al-Shabaab gunmen, an Al-Qaeda splinter group, has ended, according to the government’s disaster agency. The siege lasted nearly 15 hours. When it concluded, according to Reuters Interior Minister Joseph Nkaissery told Kenyan media: "The operation has ended successfully. Four terrorists have been killed." In the early morning, about five gunmen from the Islamist militant group Al Shabaab stormed a Kenyan university campus during morning prayers, killing a number students and staff, and taking others hostage. Police and soldiers surrounded the college, and exchanges of gunfire have been going on all day. "We are finding it difficult to access the compound because some of the attackers are on top of a building and are firing at us whenever we try to gain entry," a policeman at the university campus in Garissa said earlier. 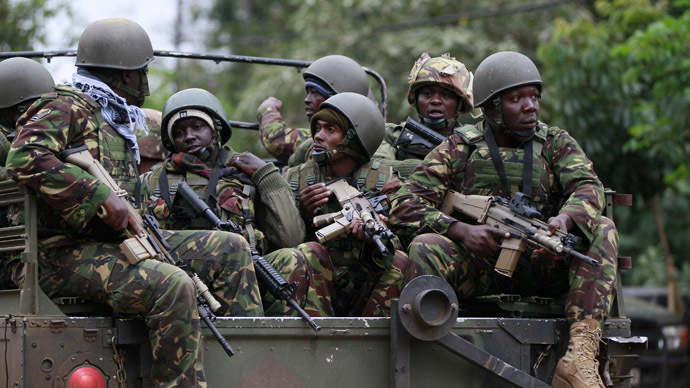 Kenyan police have issued a dusk to dawn (from 6.30 pm till 6.30 am) curfew in four regions near the Somalia border, as a security precaution following the attack, Reuters reported. At least 79 people were injured in the attack. Just been told to take cover outside the University. I can hear heavy gunfire & explosions. Hundreds of students run out, some crawling. Somali Islamist group Al-Shabaab has claimed responsibility for the assault, saying it was holding Christians hostage inside the university. Al Shabaab's spokesman Sheikh Abdiasis Abu Musab said the gunmen were holding Christian hostages inside. "We sorted people out and released the Muslims," he told Reuters. The gunmen allegedly entered the university as students were heading to morning prayers. The attackers reportedly posed as worshipers among the students, and then started shooting indiscriminately. Students who escaped the attack told security forces there were at least five gunmen, holding many others hostage inside. According to some accounts, the gunmen were also wearing suicide vests. Just over a week ago, a terror threat alert was issued for Kenyan universities, Twitter users report. Local senior security officials said there have been threats from a terror group. “We had the threats earlier on and alerted the institutions here,” said an anonymous security official, as quoted by Standard Media. In the past, the Al-Qaeda-affiliated Somali terror group Al-Shabaab has conducted several attacks in Garissa and throughout Kenya, the biggest assault being an attack on a shopping mall in Nairobi in 2013.